But then when the clock struck midnight the counter suddenly reset to 23 hours. 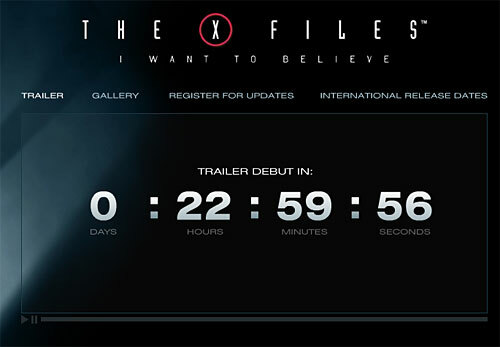 The trailer will probably be released at midnight US time (whatever timezone? ), but the clock was clearly counting down to midnight Central European Time looking at it from here. This is so lame. 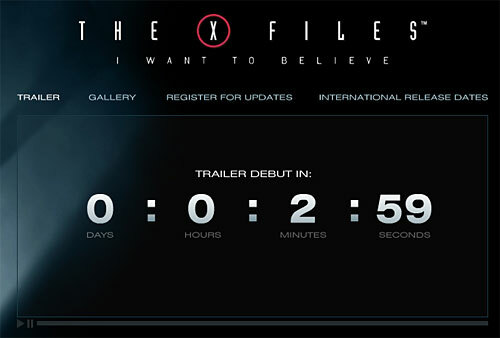 This entry was posted on Monday, May 12th, 2008 at 12:11 am CET and is filed under Pop culture	with tags Movies, the x-files, trailer. You can follow any responses to this entry through the RSS 2.0 feed. You can leave a response, or trackback from your own site. it is driving em crazy! It turns out they meant midnight PST. 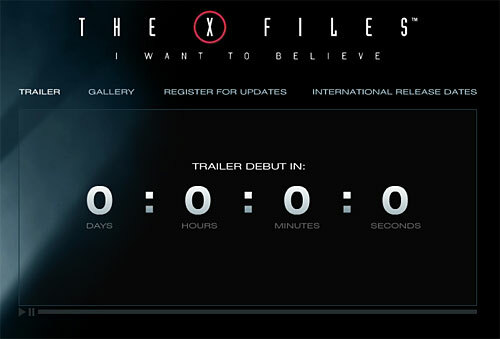 That just passed 2 minutes ago, and now the page at http://www.xfiles.com is completely black. They’re really making a mess of it.